FOOTBALL CASH GENERATOR-BetFair.Bud in positive territory. 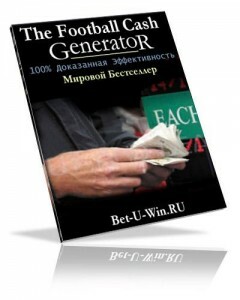 Fotball Cash Generator - Football Money Generator. Now in Russian! Over 200 pages of exclusive material about football, sports betting exchange BetFair and Live-rate which will change your life.